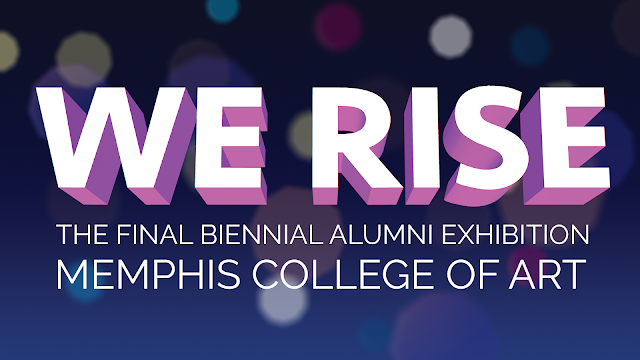 MCA’s final Biennial Alumni Exhibition is on view now through July 15 at the iconic heart of our campus, Rust Hall in Overton Park. We will hold a cocktail reception, celebration, and award ceremony on Friday, July 13 from 6-9pm. The exhibit and celebration honor the continuing impact our alumni have on our hometown and around the world. At the reception, awards will be given for Best in Show as well as First and Second Runners Up. The exhibition of more that 50 works was juried by a panel of local creative leaders – Julie Pierotti, Curator at the Dixon Gallery and Gardens, Grace Stewart, Director of Collections and Exhibitions at the Metal Museum and founding member of The Collective, and Dolph Smith, MCA’s beloved emeritus. The included artists and artworks highlight the rich history of the college and come together in an exhibit that transcends time. The diverse collection intwines artworks in all media from alumni working in local, regional, and global spheres. Books and cast paper, larger than life metal sculpture, lush paintings, and colossal photography highlight the school’s most influential departments and reveal the reach of our world-class instructors. Globally-renowned artists like Jim Ramer, Bunny Burson, and Maude Schuyler Clay are showcased alongside rising stars Tommy Kha and Jade Thiraswas, local leaders Lester Merriweather and Carl Moore, and recent graduates Tawny Armus and Vanessa Gonzalez. The exhibit is also shaped by the loving commitment of the MCA “family.” These are the alumni, artists and teachers who have lent their support to the college and its students through generations, like Dolph Smith, Lisa Tribo, Bill Price, and Nancy Cheairs, to name just a few.